Tantalizing Trademarks™: Is RED CUP PONG Merely Descriptive of Beer Pong Tables? Is RED CUP PONG Merely Descriptive of Beer Pong Tables? College students might be in the best position to answer this question. 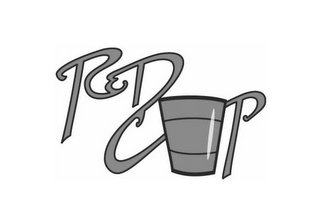 On July 10th, a company in Virginia named Blue Ridge Product Solutions, LLC filed applications to register RED CUP PONG (in standard characters), and the stylized logo seen below, with the U.S. Patent and Trademark Office. Both applications cover "Game tables; inflatable mattress swimming floats for recreational use, namely, beer pong floats; games, namely, table top games, equipment sold as a unit for playing drinking games, parlor games, singing games played with cards and game components" in Class 28. 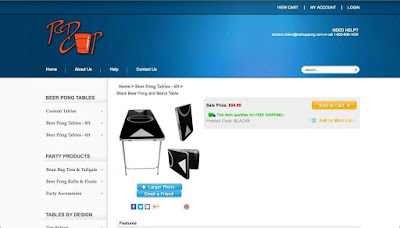 According to the applications and specimens submitted with the same (see above), Blue Ridge Products Solutions, LLC is in the business of selling party games and accessories and has been using the "Red Cup" marks at least as early as December 1, 2010. But are the marks merely descriptive of the underlying goods? A mark that merely describes the goods in connection with which it is being used cannot be registered on the USPTO's Principal Register without a showing of acquired distinctiveness. TMEP 1209; 15 USC 1052(e)(1). A mark is merely descriptive " if it describes an ingredient, quality, characteristic, function, feature, purpose, or use of the specified goods or services." TMEP 1209.01(b). However, if a mark is deemed merely descriptive, it can be registered upon proof of "acquired distinctiveness," which means the mark has become distinctive as applied to the applicant's goods in commerce (i.e., consumers associate the mark with the applicant's goods, rather than only as a descriptive term). TMEP 1212; 15 USC 1052(f). So does RED CUP PONG or RED CUP describe a feature, purpose, or use of drinking games and beer pong floats? Or do the terms "require imagination, thought, or perception to reach a conclusion as to the nature of those goods..." in which case the mark would be suggestive and registerable on the Principal Register without a showing of acquired distinctiveness. TMEP 1209.01(a).